Barnabas Collins X 4. 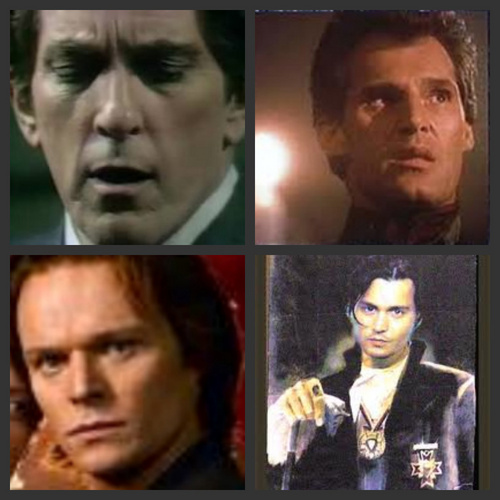 Jonathan Frid (1967-1971), Ben traverser, croix (1991), Alec Newman (2004), and Johnny Depp (2012).. HD Wallpaper and background images in the Dark Shadows club tagged: dark shadows barnabas collins jonathan frid ben cross johnny depp alec newman gothic supernatural. Jonathan Frid (1967-1971), Ben traverser, croix (1991), Alec Newman (2004), and Johnny Depp (2012). This Dark Shadows fan art might contain anime, bande dessinée, manga, dessin animé, portrait, headshot, gros plan, and closeup.